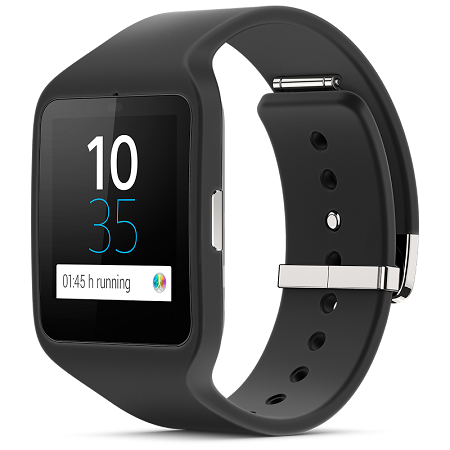 Update 19-1-2015: Sony SmartWatch 3 and SmartBand Talk have been launched in India for Rs 19,990 and Rs 12,990 respectively. The Japanese tech firm Sony seems to be all set to launch the SmartWatch 3 and SmartBand Talk that were unveiled at the IFA 2014 tech show in September 2014 in India. These devices are listed on the official Sony India website and they are priced at Rs 19,990 and Rs 12,990 respectively. Detailing on their aspects, the Sony SmartWatch 3 is given a 1.6 inch TFT LCD trans-reflective display with a resolution of 320×320 pixels and it can be viewed under direct sunlight without any reflection. The smartwatch draws power from a quad core 1.2 GHz ARM Cortex A7 processor that is paired with 512 MB of RAM and 4 GB of internal memory capacity. The SmartWatch 3 is said to pack in a 420 mAh battery capable of rendering up to 2 days of typical usage and up to 4 days of standby time. The wearable also comes with connectivity features such as Wi-Fi, Bluetooth 4.0, NFC and GPS and it is based on Android Wear platform as the other smartwatches that were launched last year. Interestingly, the SmartWatch 3 boasts of IP68 certification that makes it waterproof. The SmartBand Talk, on the other hand, houses a 1.4 inch curved E-Ink display that carries a resolution of 296×128 pixels. This wearable also lets users to view noticication from their smartphone and receive time and monitor Lifelog activities. There is an inbuilt microphone and a speaker on the SmartBand Talk that let users to talk to and hear the caller when the wearable is connected to the smartphone. 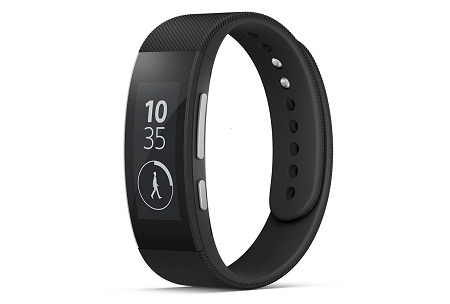 The SmartBand Talk also comes with Bluetooth, NFC and IP68 waterproof rating. Otherwise, the wearable draws power from a 32 bit ARM Cortex M4 processor and is given a 65 mAh battery that can pump in up to 1 hour of talk time and up to 3 days of standby time to it.